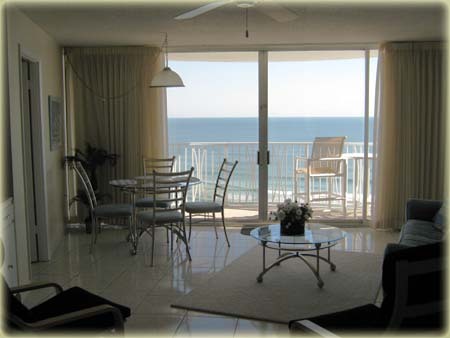 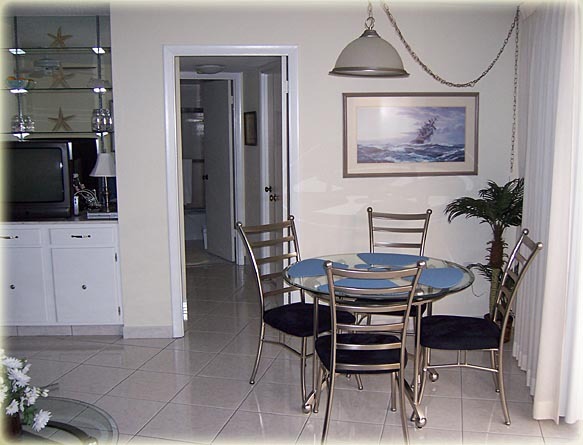 Relax in this oceanfront living/dining area complete with access to balcony, recliner, TV/DVD and dining table for four. 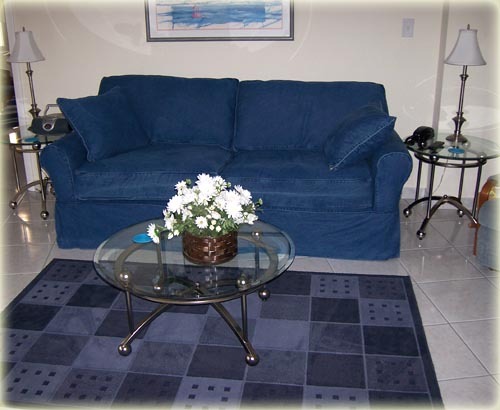 Also includes sofa with pull out queen size bed. 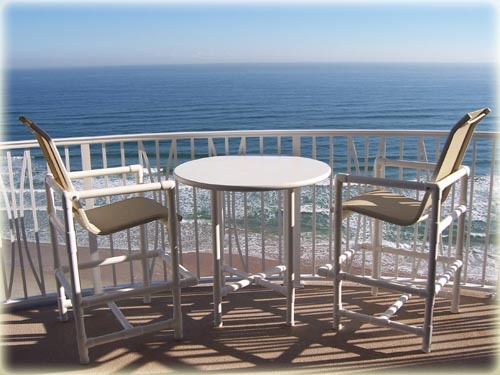 Enjoy gorgeous oceanfront views on your private balcony. 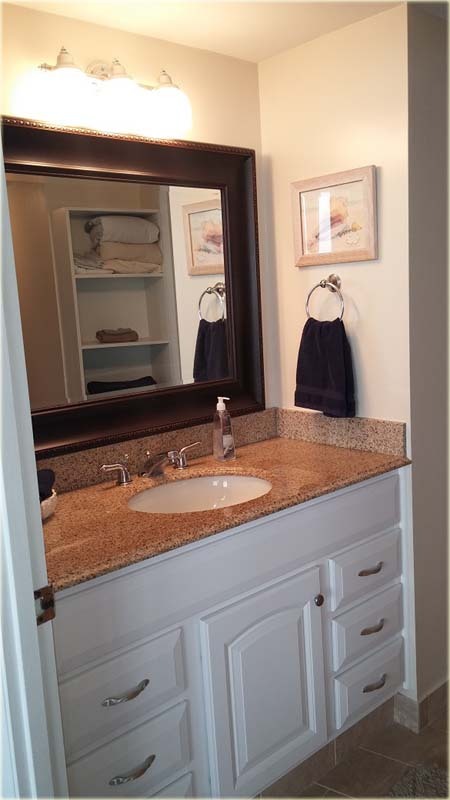 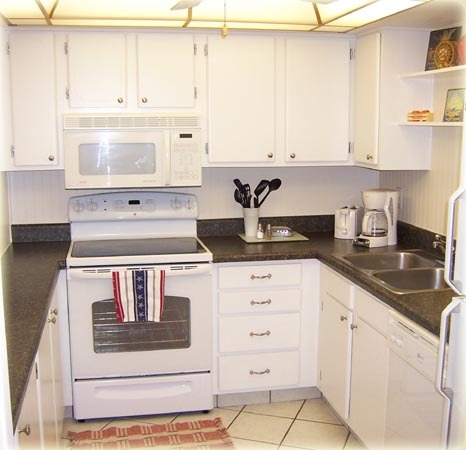 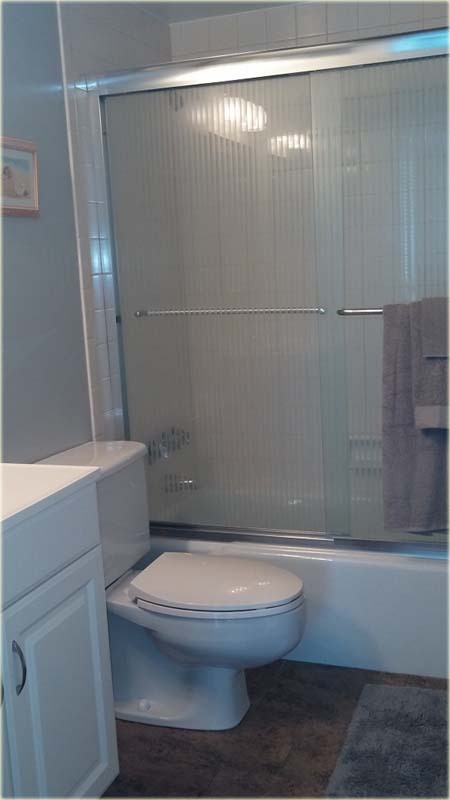 Full kitchen with updated appliances, ceramic tile flooring and dome lighting with fan. 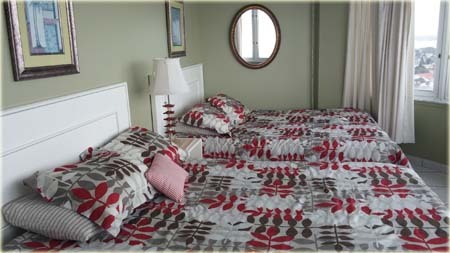 The master bedroom features a king size bed, TV and full private bath. 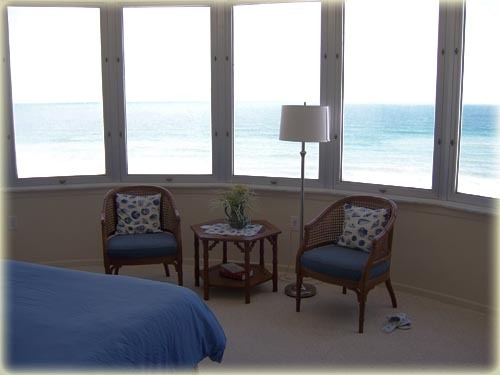 The master bedroom is also light and bright with oceanfront views. 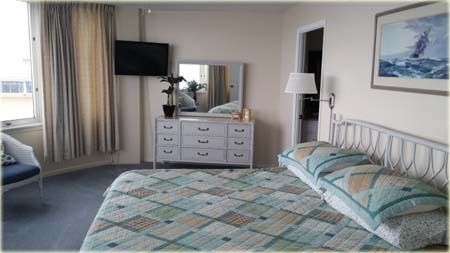 The guest room has two queen beds, a TV and access to a full bath. 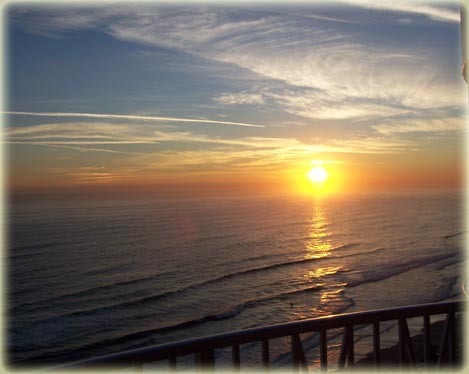 Wake up to incredible views of the sunrise over the Atlantic Ocean! 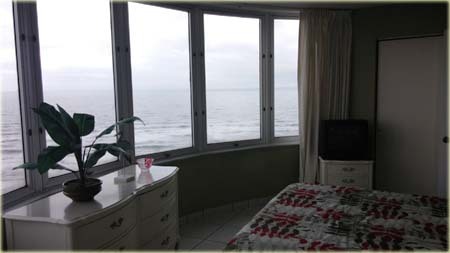 Also great ocean views!